For me, there is never enough color in a garden, no matter what time of year. Annuals I'll be planting more of in the future include this exotic Impatiens, which thrives in a pot in the shade of an oak tree. 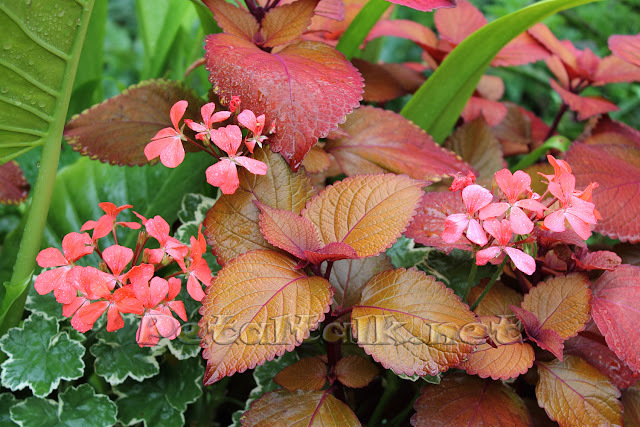 Ball Horticultural offers a selection of Impatiens, which really add a tropical feel to the garden. 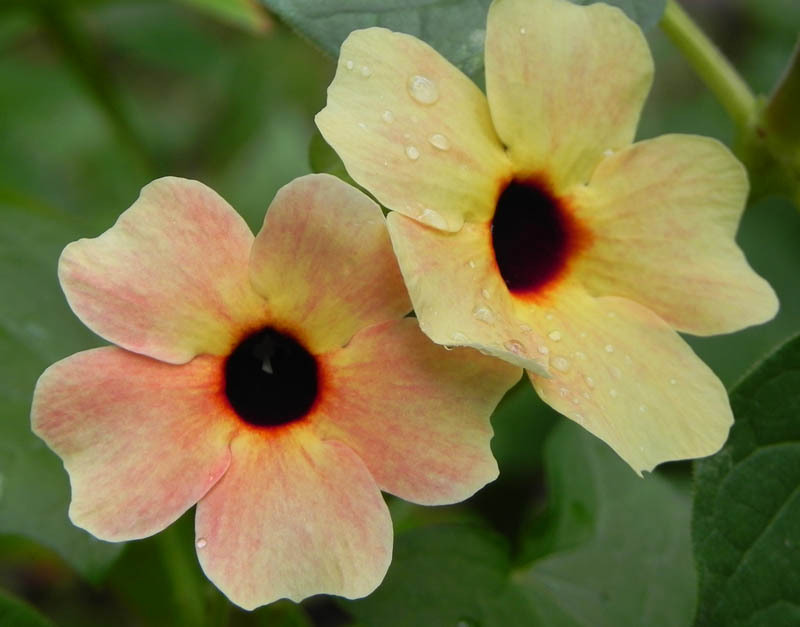 ﻿﻿ And then there is Thunbergia 'Blushing Susie', a black-eyed Susan vine of a different color. I've grown Thunbergia in its original pale yellow in hanging pots from the get-go, simply planting half a dozen seeds in mid-May right in the pot. They did spectacularly in an east exposure. Since I first witnessed the Blushing Susies, I'd planned to plant them but didn't get around to it until this year - and I planted them late, so they've just begun to flower. ﻿ Discovered in Kenya by Robert Grant-Downton of University of Oxford, Thunbergia 'Blushing Susie' was introduced several years ago but wasn't originally available from seed. They are now, along with a few others like 'African Sunset' and 'Spanish Eyes' offered by Swallowtail Garden Seeds. Whatever their cultivar name, I'll be planting these colorful Thunbergia next year, a little earlier so I can enjoy them through the summer.